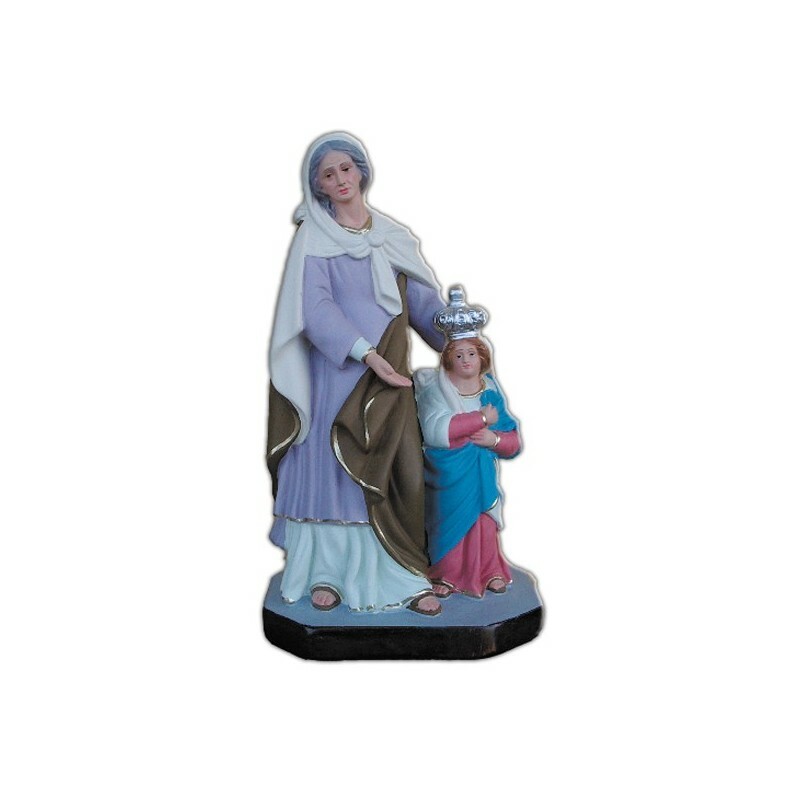 Statue of St. Anne of 35 cm. 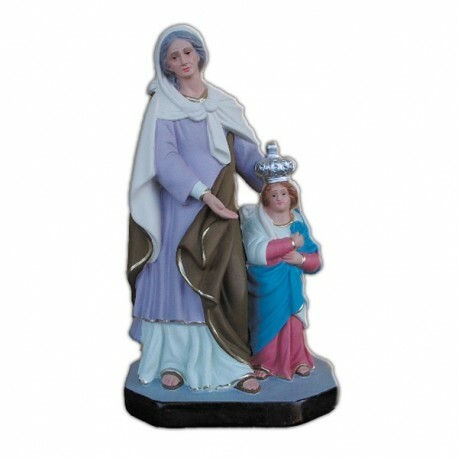 Saint Anne Mother of Mary. She is commemorated on the 26th of July. In the 6th century appeared in the Oriental liturgies the Saint Anne’s worship and in the 8th century in West. The worship was not approved until the end of the 14th century. She is generally illustrated with her baby, while she is teaching her to read the Bible, or while she is hailing her husband near the Golden Door.